Why GRP Pultruded Profiles ? These profiles have generated exciting results in bridges, buildings and other structures. The construction industry is under constant pressure to produce durable structures that are lighter, stronger and quicker to build. GripClad GRP pultruded profiles are made from glass reinforced isophthalic polyester resin. This is reinforced with glass fibre and includes continuous strand mat and a polyester surface veil as the surface layer. This combination gives excellent corrosion resistance and long-life durability. 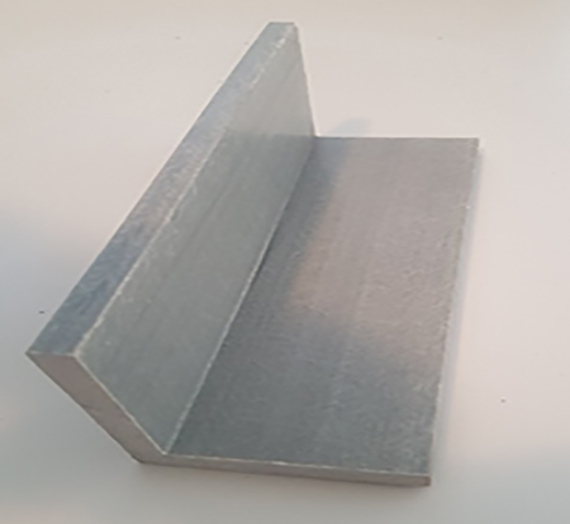 We supply a range of GRP Pultruded Profiles including Tube, I-Beam, WFB H-Beams,Channel, Box Section and GRP Angle Section to standard EN13706 E17 or E23, offering a wealth of construction opportunities. Typical uses in fabrication of stairs, access platforms, ramps and step access cable/pipe walkovers. Why Choose GRP Pultruded Profiles? Applications for GRP Pultruded products are rapidly evolving. Reduced mass, corrosion resistance and superior weight-strength ratios offer significant benefits in the built environment. From an initial range of niche uses to industry-wide delivery, the potential for implementation is limited only by creative design and imagination. Structural profiles offer a unique combination of chemical resistance, size stability, high strength, thermal and electric non-conductivity. Each composite structure is available in a number of dimensions. This is to suit a variety of applications and design needs. Major asset-owners are fostering innovation and steadily increasing the use of Gripclad GRP Pultruded Profiles in both reinforcement and new build projects. Just call us and we will be pleased to help. From an initial range of niche uses to industry-wide delivery, the potential for implementation is limited only by creative design and imagination. Gripclad Pultruded GRP profiles include Tube, I-Beam, Channel, Box Section and GRP Angle Section. 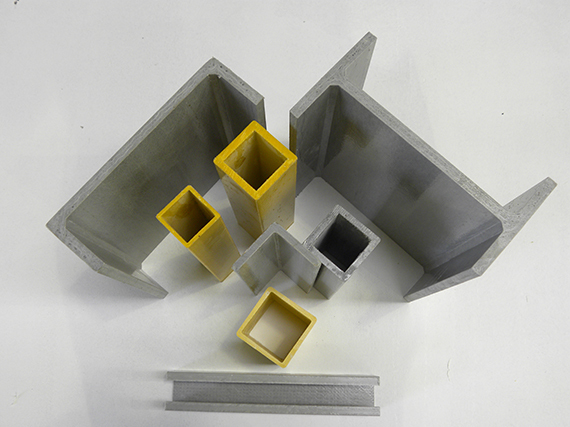 These pultruded GRP profiles can be used in a wide range of applications. Structural profiles offer a unique combination of chemical resistance, size stability, high strength, thermal and electric non-conductivity. 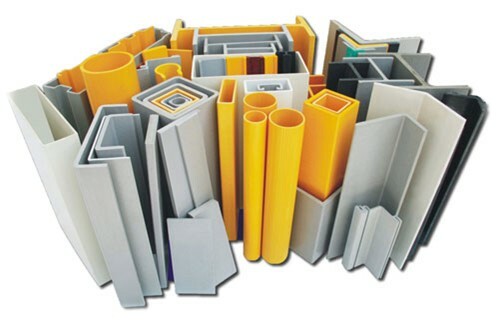 The standard BS EN 13706 – Specification for Pultruded Profiles. This defines two grades of structural profiles. All Gripclad Pultruded GRP profiles with a wall thickness of over 5mm thick meet the higher performance E23 grade. Those at 3-5mm wall meets the E17 grade. Gripclad Pultruded GRP profiles are able resist, without depletion, any exposure to constant splash, spills, fumes and gases and will demonstrate superior quality over other materials. Meets Class 1 Flame Spread rating of 25 or less, in accordance with ASTM E-84 Tunnel Test Method. If a flame spread requirement of less than 25 is required we can supply this bespoke.